Of course in general terms, Leavis even agrees somewhat with the point that disciplines are alienated from one another (even as he criticizes the messenger), but phrases his critique in terms of the problems of specialization: “Unlike Snow, I am concerned to make it really a university, something (that is) more than a collocation of specialist departments—to make it a centre of human consciousness: perception, knowledge, judgment and responsibility.” Leavis is, as one can imagine, quite far from being the literary specialist he is wrongly accused of being (he had been accused of ‘literarism’). In a way, Leavis is right to take issue with the term the ‘two cultures’–he insists that there is “only one culture,” although he did not mean (and clarifies this point in the book) that there is only the literary culture–although I think Snow’s general point and Leavis’s more informed and extensive critique might be combined (perhaps despite Snow) in revisiting the idea of the two cultures today, critiquing disciplinary alienation and emphasizing, as Leavis did, collaboration. So the question is, how would Leavis’s position inform (if at all) the way we think about Digital Humanities as a collaboration between the humanities and the sciences? 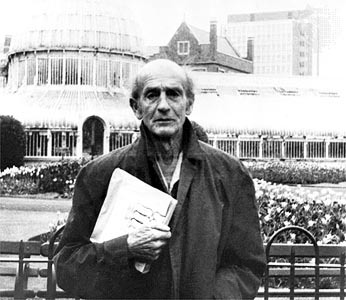 This entry was posted in C. P. Snow, Digital Humanities, F. R. Leavis, Interdisciplinary Collaboration, Literature, Worth a Read and tagged C. P. Snow, F. R. Leavis, the Richmond lecture, two cultures, Urban Cultural Studies by urbanculturalstudies. Bookmark the permalink. I do not agree that Leavis is right about the 2nd law of thermodynamics. This law is as important to culture as Shakespeare’s plays. I doubt Leavis would have been able to explain this or other important scientific laws while Snow was a competent novelist. I have never understood Leavis’ hostility to Snow but I presume it comes from fear of ignorance of science or maybe jealousy of the breadth of Snow’s talents. J Sykes might like to read Anthony O’Hear’s essay ”Two Culture’ Revisited’, published in ‘Verstehen and Humane Understanding’, Cambridge University Press, 1996. It may be available in full somewhere on the web. Humanities?) | urbanculturalstudies” was indeed a wonderful post. If only there was far more websites similar to this one in the actual internet.